Roll the fish pieces in turmeric and salt. 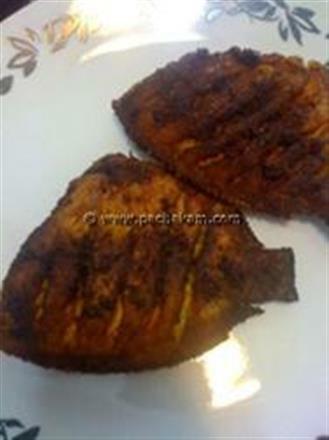 2)Heat half of the oil in a kadai and fry the fish pieces to a golden brown color. Keep the fried fish aside. Pour remaining oil in the same kadai and fry cardamom, cinnamon and bay leaf. Add onion, ginger, garlic, turmeric, cumin powder and chilly powder. Saute in low flame for a few minutes by adding little water. Now add the curd and mix well. Simmer for a few minutes. Add fried fish pieces along with salt, sugar and little water. Cook in low flame till the gravy is thick. 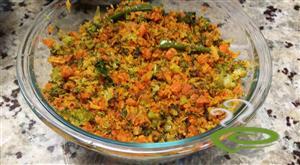 Add curry leaves and little oil on top of the gravy. 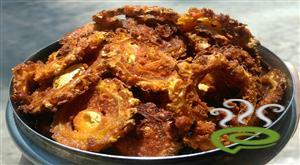 Yogurt fish/machhli curry, a yummy dish with plain rice is ready.